I'm glad to announce that BlenRig 5 Ver. 1.02 is out. Although it is not a huge update, there are some new features that might be of your interest. The Compact Scheme is the default one and is the one that BlenRig already had. It consists of 10 control layers that depend on "bone auto hiding". 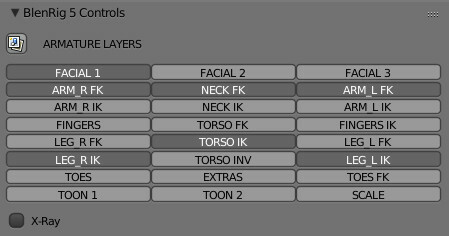 That is, the FK and IK controllers are shown according to the mode you set the sliders to ( FK or IK). You can override this and show all the controllers by pressing Alt+H to unhide. On the other hand, the new Expanded Scheme consists on 24 control layers that represent each body part in each mode (FK / IK). This mode will automatically turn the auto-hiding feature off, so you can manually choose what body part and which mode you want to see. You can switch these layer schemes back and forth, so you can always change from one to the other in case you find you like one of them the most. 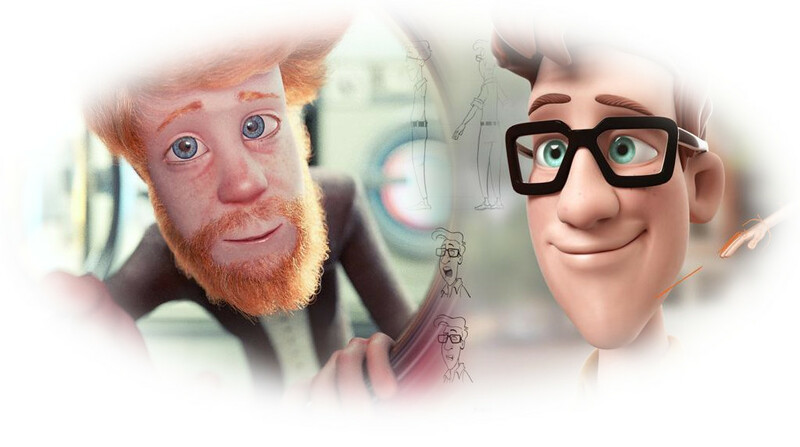 This feature represents a major step into giving maximum support to the user. This UPDATE button will appear whenever the armature you are using in your character is outdated compared to the rig that comes with the addon. Therefore, if you press it, your rig will get all the newest features and bug fixes. 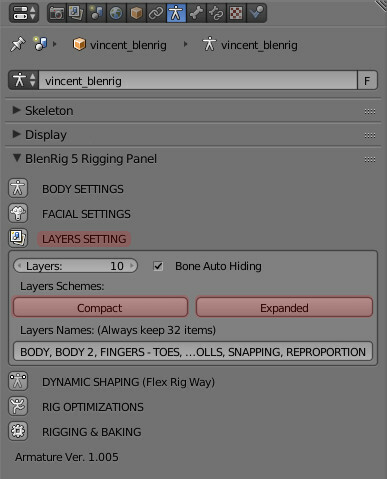 This means that on every new version of BlenRig that I release, I will translate all the changes that I have made to the bundled rig into python, so that they can be applied to your own characters too, making it possible to keep everyone's rigs up to date. Bone count will be reduced by 20% thanks to the implementation of the new B-Bone features. I will try to implement an IK scheme that will no longer require pole targets. The idea is that you will be able to toggle between this control scheme and the pole based scheme. It's just about user preference. BlenRig 5 Tutorials are arriving!